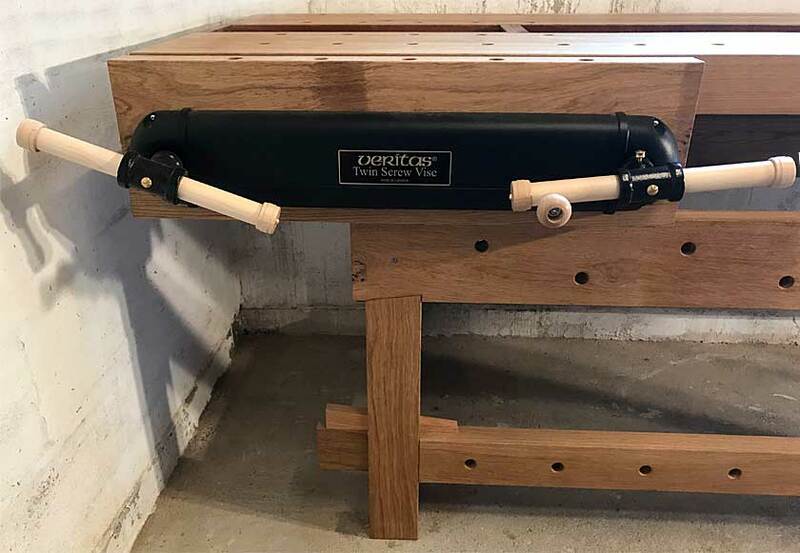 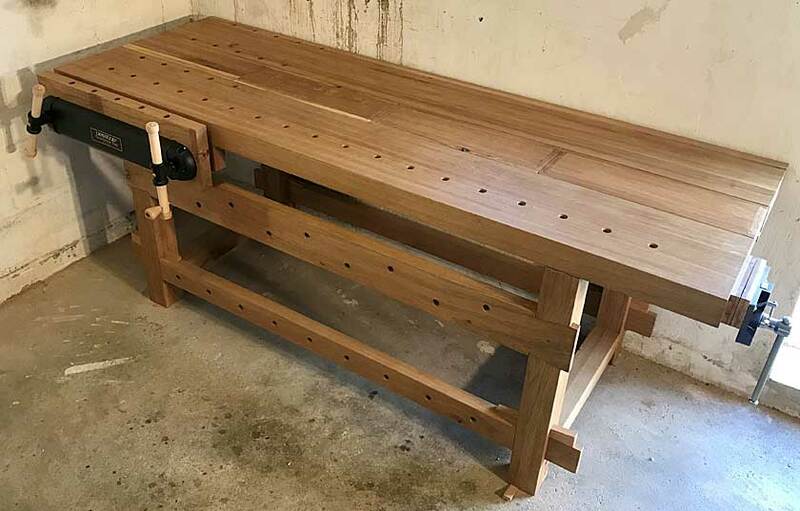 Both the Veritas twin-screw vice and the York carpenter’s vice have found good working conditions on this impressive workbench built by Frank U. 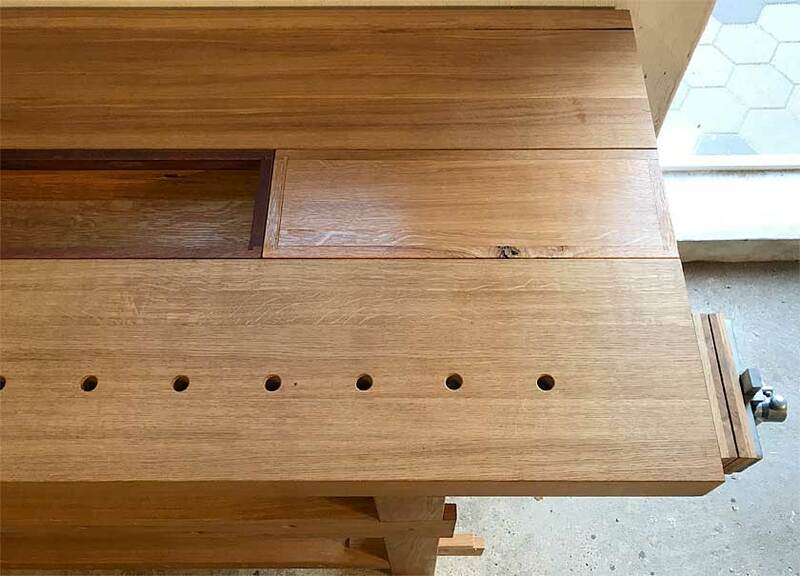 Wide, removable wooden trays in contrasting colours underline the generous functional design. 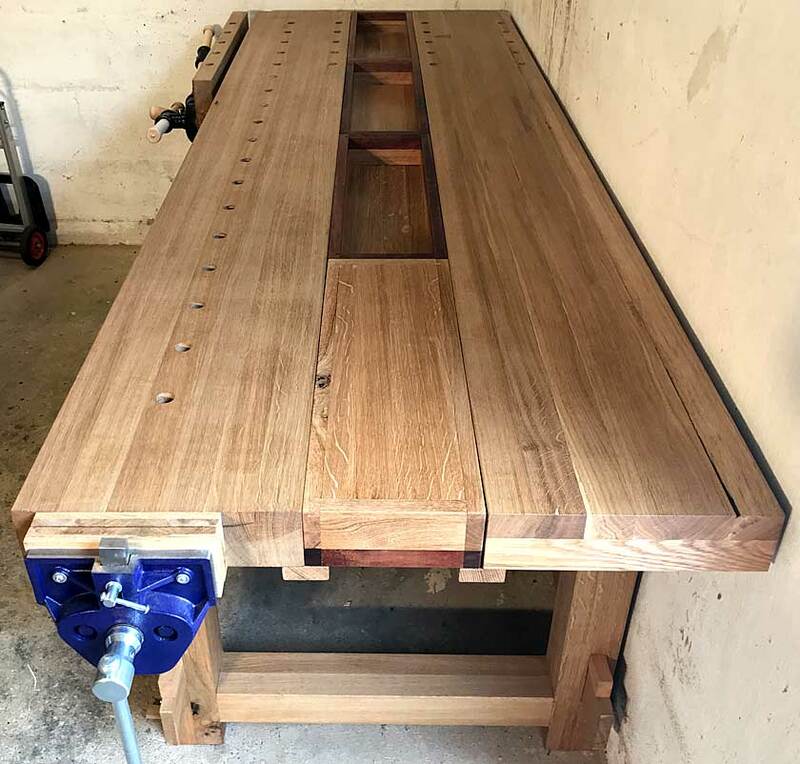 The trays can be turned over to create a continuous work surface. 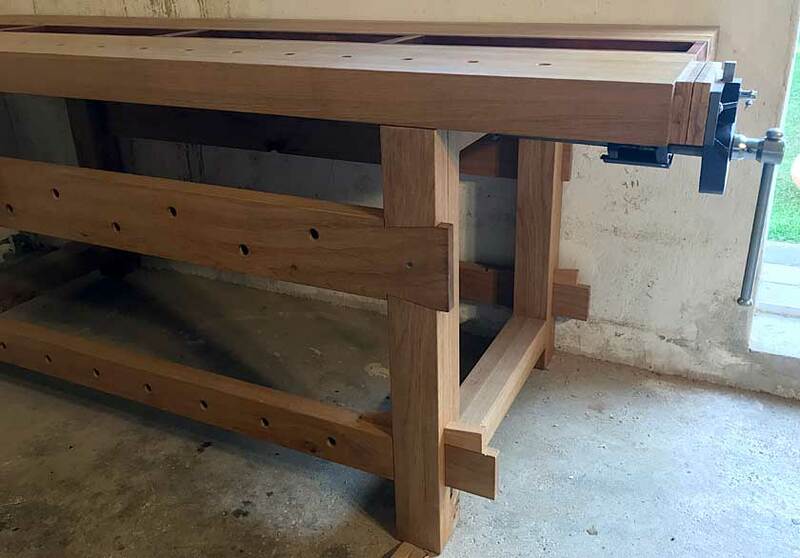 The wedge joints in the base allow for fast readjustment if the timber shrinks. 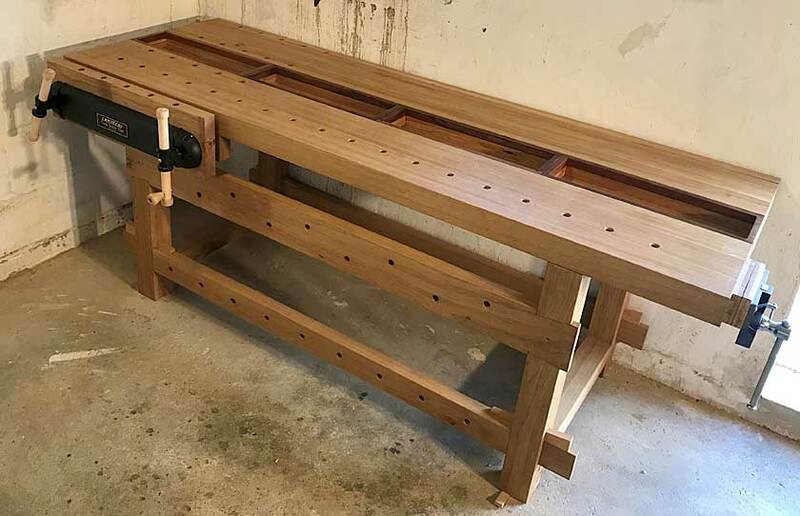 Frank wrote: "Now there are at least two “Robert W. Lang” workbenches in the district of Würzburg, Bavaria, check here. 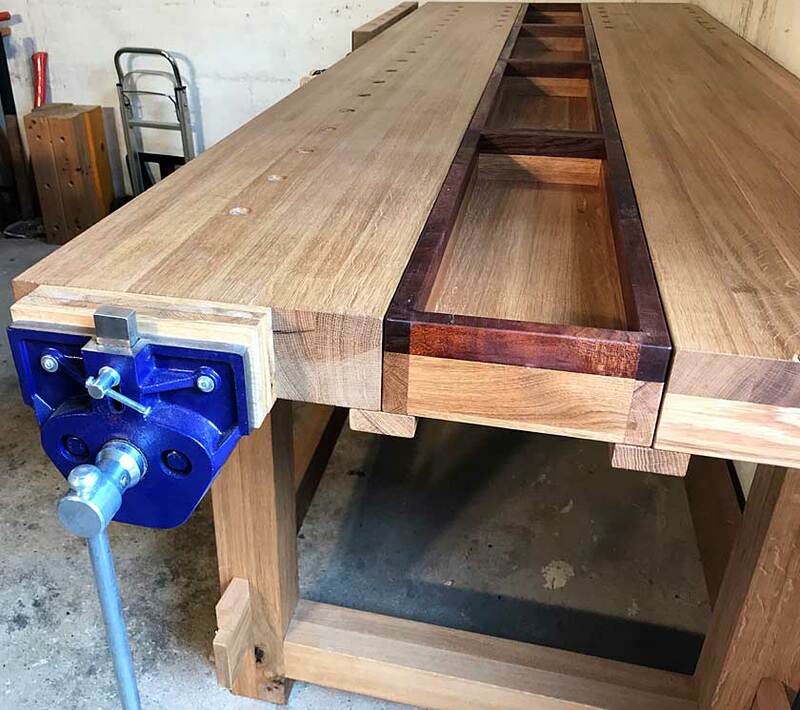 Working with this bench is great fun and for me, it is a gigantic leap forward , because up to now I’ve had to work on trestles."